Occupational health specialists from Wisconsin, USA, are utilising FTIR gas analysis technology to identify and quantify both known and unknown gas species in a wide variety of applications in which workers are potentially at risk. 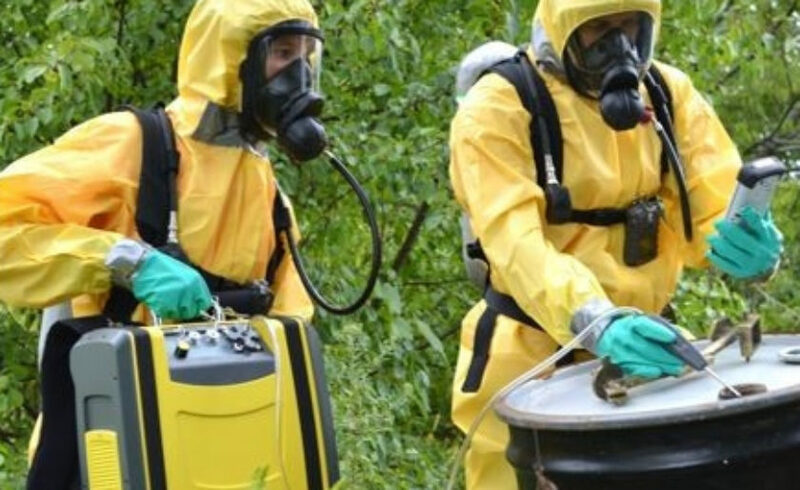 The FTIR instrument, a Gasmet DX4040, is owned by North Shore Environmental Construction (NSEC), a specialist in the management of hazardous materials response and environmental challenges. NSEC routinely employs specialist consultants for the more technically complex investigations and Michael McCoy, M.S., CIH, CHMM, CSP from GZA GeoEnvironmental provides a high level of expertise in these applications, which includes evaluation of the data. NSEC specializes in hazardous materials response and clean-up and field-based environmental construction. Much of GZA’s work involves site investigation to characterize levels of environmental contamination and human exposure to potentially hazardous or toxic substances. In some cases, such as a chemical spill, the contaminant is known, but in others the source of contamination may not be known. For example, land may have become contaminated by a number of different industrial sources over many years, and waterborne pollution can travel long distances and therefore be derived from unknown sources. As a portable FTIR gas analyser, the DX4040 effectively enables laboratory grade analysis onsite which dramatically increases the speed with which contamination can be assessed, and avoids the problems, costs and delays associated with transporting samples to a laboratory. Explaining the advantages of FTIR, Michael McCoy says: “Many portable gas monitoring instruments either just measure an individual gas or provide an aggregated reading for a group of compounds – VOCs for example. In contrast, the DX4040 is able to measure up to 25 individual compounds simultaneously. It achieves this by producing a spectrum for the measured compounds, which means that we can set the instrument to display almost live readings for the compounds of potential interest. GZA has developed a strong working relationship with NSEC over the last 6 years; NSEC providing emergency response, and GZA delivering clean-up monitoring and site clearance. The DX4040 was purchased from Gasmet in October 2015 and since that time it has helped validate clean-up activities and provide confirmation of safe working conditions during remediation work. The DX4040 is a relatively recent addition to NSEC’s equipment fleet, however, it has already been employed in a wide variety of applications. For example, it was deployed in a health and safety investigation to measure fumes and breakdown products following a nitric acid leak, and it has also been used to characterise the emissions profile of different processes within a specialist paint factory; analysing a variety of VOCs in the evaporative emissions. In a similar application, the DX4040 was used to characterise the emission from a ceramics manufacturer. In line with the USEPA’s approach to pollution monitoring, such investigations help manufacturers to identify the fate of different chemical species. Prior to the purchase of the DX4040, a practical demonstration was provided by Gasmet’s Jim Cornish at a coffee roasting factory in Wisconsin. Articles in the media had raised concern about lung disease caused by high levels of diacetyl in popcorn manufacturing facilities and coffee roasters. As a result, NSEC and GZA were asked to investigate and this provided an opportunity to evaluate the benefits of portable FTIR. As a result of this investigation it was possible to list the components of the emissions from coffee roasting and to provide reassurance to the factory’s workers that they were not at risk.